Salmon with Rosemary Honey on Good Morning Alaska! 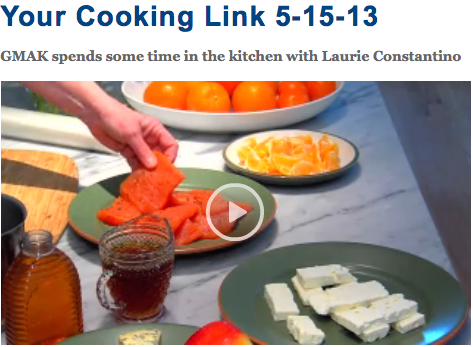 Today’s show is the first in a series of cooking segments I’ll be doing for GMAK. Click the above picture to go to GMAK’s website and watch the video. Although there wasn’t time to film everything, I’d prepared enough Rosemary Honey to drizzle over feta or serve with blue cheese, fruit, and walnuts for quick appetizers or desserts. For true luxurious deliciousness, roll pieces of high quality feta in 2 layers of filo, bake for 20-30 minutes at 350°F, remove from oven, and drizzle with Rosemary Honey. Seriously, you won’t want to eat just one.